OAKMONT, PA—The 9th visit to Oakmont CC produced an exciting US Open and a worthy champion in first time major winner Dustin Johnson. The controversy attached to the rules situation involving Johnson had less to do with Dustin and more with how the matter was handled by key officials within the United States Golf Association (USGA). After Johnson had been initially cleared of causing his ball to move on the 5th green the USGA opted to look into the matter more deeply. The issue was then brought to the attention of Johnson — as we stood on the tee at the par-5 12th and in the middle of a serious competition for the grandest prize in American golf. Instead of making a final determination regarding whether a penalty stroke would be applied to Johnson’s card — the USGA opted to hold on deciding that issue until the competition had finished. That was a clear error in judgment. Imagine such a procedure being applied to the Super Bowl or a game seven World Series game? How do athletes play an event not knowing exactly where they stand in the event? Sports competitions are fundamentally based on knowing where you stand in the event in real time. Not knowing where you stand impacts the myriad of decision competitors have to face as the competition reaches its ending. Getting crucial decisions right in any sports event is important. But, being timely in what is ultimately decided is even more important since such decisions impact all the competitors and the manner by which they contemplate what shots they wish to play. The USGA was most fortunate Sunday’s final round did not have a situation in which Johnson either finished with a one shot lead or worse was tied with another competitor or competitors. That would mean the USGA would then enforce a penalty and determine the outcome of the event. No one disputes that rules lie at the heart of any sports event. Enforcing them is not an easy matter and making sure the right calls are made is central to the integrity of the outcome. But, to do what was done Sunday at Oakmont and put on hold a decision as critical as the one impacting Johnson and the rest of the field was wrong. Staging the US Open at Oakmont worked well in so many ways — what would have been horrific is for such a renowned layout to be sullied with an outcome that would have been remembered far more than anything else. Timely resolution of key decisions need to be always followed. The USGA was saved Sunday from such a thrilling event turning into a question of championship administration. Oakmont and the competitors battling for the US Open should always be the storyline. Dustin Johnson’s incredible play after the rules conversation at the 12th hole is a major testament to his mental strength being no less than the physical prowess he showed time after time — concluding with a tour de force playing of the 18th hole with his final birdie at the 72nd hole. Hats off to USGA Executive Director Mike Davis and Oakmont Course Superintendent John Zimmer in the manner in which Oakmont was presented. The course was pushed to the edge in having demanding playing conditions but did not cross over to farcical. Oakmont showed once again why it is among the select few courses globally that pushes competitors to the maximum in order to score effectively. Oakmont was inundated with 3 inches of rain during Thursday’s first round but the actions of Davis and Zimmer — in tandem with the number of others assisting — had the course ready for the final three days of competition. Making sure that Oakmont rewarded the finest of plays and penalized those failing to do so is always a tricky proposition that balances itself on being tough but providing a clear degree of fairness. 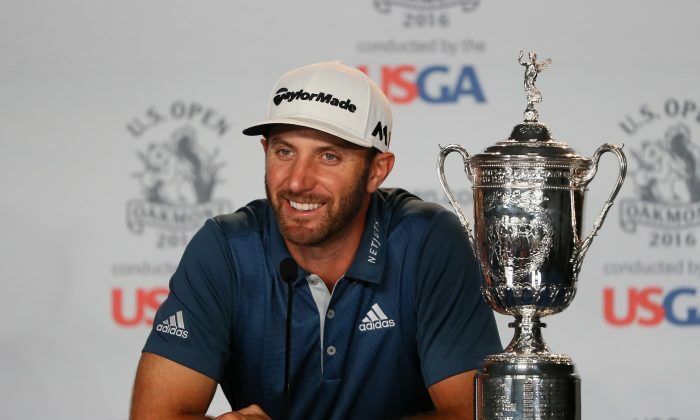 In this case — Oakmont did what it has done so well over the many years — produce a clear and convincing champion — Dustin Johnson. During the championship the USGA announced future locations for the Open in 2025 and 2026. Oakmont CC will host again its record 10th event in 2025 — followed a year later by Shinnecock Hills — the superb layout located in the eastern area of Long Island in Southampton, NY. Shinnecock Hills will stage the US Open in 2018 and the event in 2026 will mark its 6th time as Open venue. The USGA deserves great credit in making sure these two wonderful golf examinations are kept on the host radar screen at all times. Both sites are well respected by the competitors and each provides a thorough and complete examination of one’s golf game. Lastly, I had the pleasure in heading over to nearby Latrobe — roughly 40 miles east of Pittsburgh — and taking the time to visit with one of America’s great golfers and sportsman — Arnold Palmer. The King is now 86 but he still possesses the ready smile and firm handshake for those coming to Latrobe Country Club — the course he grew up as a boy and the one he owns now. Arnold was unable to make it to Oakmont for the event but just spending a bit of time with him made for a grand time well spent. How fitting that when Palmer left the group after eating lunch he headed home right across the street — to Legend Avenue. Western Pennsylvania is indeed a hot bed for golf with Oakmont and Palmer leading the way.